16th April 2019. Due to a problem with our email providers all @cadfil.com email addresses have been inaccessible for the last 7 days. Despite repeated assurances that it would be solved "within 24 hours" this is sadly still a problem. If you have sent email to us and have had no response please accept our sincere apologies and resend your email to cadfil@outlook.com which is being used now as a temporary solution. We look forward to meeting you again at the JEC World Show (Paris). The JEC show will be held 12-13-14 March 2019 at Paris Nord Villepinte Exhibition Centre, Paris, France. If you would like to arrange a meeting to discuss how we can help you, please contact us or you should be able to find us at the CNC Technics stand in the India Pavillion Hall 5 E61. December 2018 - Composicad where are you???? To any filament winders that "invested" in the Composicad software and are now feeling abandoned and unloved.... Special offers are available to upgrade from ComposiCAD to CADFIL, please contact us. We ARE the leading filament winding software system with a large worldwide user base. We have been in continuous business since 1986 supplying software solutions for filament winding! We don't seem to have posted any news for a while so here is a great time-lapse movie of winding a rocket motor that our customer Cesaroni Technology generated using Cadfil Software. I hope you enjoy it! We look forward to meeting you again at the JEC Show Europe (Paris). The JEC show will be held 6-7-8 March 2018 at Paris Nord Villepinte Exhibition Centre, Paris, France. If you would like to arrange a meeting to discuss how we can help you, please contact us or you should be able to find us at the CNC Technics stand. Cadfil Version 9.21 is released with new updates, features and fixes. Some of the changes are listed on the What's New Page. Including a helper Wizard for joining path creation and further options for winding machine integration in the post-processor. Cadfil Version 9.17 is released with new updates and features. Some of the changes are listed on the What's New Page. Additional includes a new Multihoop winding inteface for pressure vessels from "Vessel With End-caps" and new features for easier winding machine configuration setup. Cadfil Version 9.16 is released with new updates and features. Some of the changes are listed on the What's New Page. 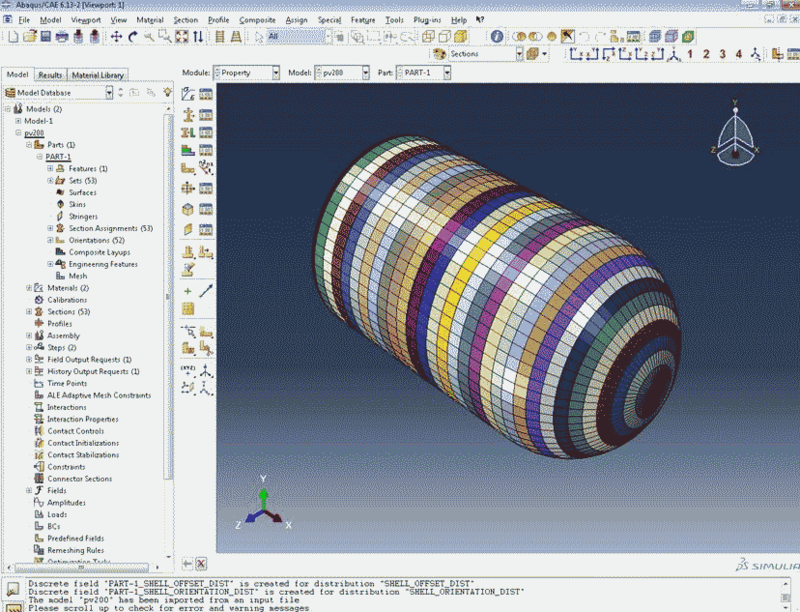 Cadfil Version 9.15 is released with new updates and features. Some of the changes are listed on the What's New Page. Cadfil Version 9.07 is released with new updates and features. An all new features is a specific options designed for Pipe reducers. Some other changes are listed on the What's New Page. Cadfil 9.07 can be found on the downloads page. Cadfil Version 9.04 is released with new updates and features. The advanced simulation and clash detection have been significantly enhanced as 3D models of the static parts of the machine or surroundings can be added via files from a 3D CAD package, further information can bound found in the help section. Cadfil 9.04 can be found on the downloads page. 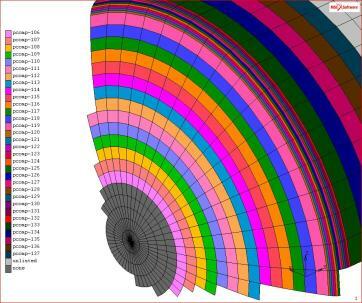 Cadfil has by far the most advanced simulation and visualisation features of any filament winding software available. Cadfil Version 9.03 is released with new updates and features. Find it on the downloads page. A new option for for complex pipe bends, double elbows, dog-legs, pipe joggles and many more such variants that are based on a pipe with a generally curved 2D Spine. More information can be found by following this link. We look forward to meeting you again at the JEC Show Europe (Paris). The JEC show will be held 10-11-12 March 2015 at Paris Expo Porte de Versailles, Paris, France. If you would like to arrange a meeting to discuss how we can help you, please contact us or you should be able to find us at the CNC Technics stand at 7.3 K42 (Hall 7 Floor 3 stand K42). Shortly we will be releasing versions of Cadfil with the open for additional 3D graphics based on the OpenGL systems. With OpenGL compliant 3D graphics cards a wider range of animation and dynamic viewing become available. A brief preview can be seen in this link. We also recently did some testing if our FEA output into the ABAQUS systems, this has proved very successful and and overview can be seen in this link. With the FEA interfaces mandrel geometry and multi-layer fibre architecture (thickness/angle/material data) can be rapidly exported to commercial FEA software saving large amounts of time and leading to more rapid product development. We look forward to meeting you again in 2014 at the JEC Show Europe (Paris). The 2014 JEC show will be held 11-12-13 March 2014 at Paris Expo Porte de Versailles, Paris, France. If you would like to arrange a meeting to discuss how we can help you, please contact us. Cadfil Version 8.03 now includes a new IGES interface to the IGES 5.3 standard. 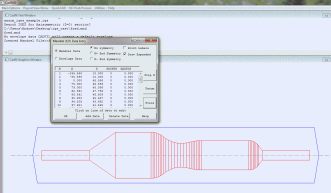 Longitudinal sections for Axisymmetric mandrels (Cadfil-Axsym) and transverse sections for Spars and other non-axisymmetric ducts can now be imported. Other changes include improvements to the direct to/from Excel (spreadsheet) interface for the material database. Cadfil Version 7.99 is released with new updates and features. Find it on the downloads page. Cadfil Version 7.98 is released with new updates and features. Find it on the downloads page. Poles and masts are an increasingly common application for filament Winding whether they be for lighting, communications , CCTV cameras or other applications of this type. Composite Poles have significant advantages over conventional materials and can have much better full-life cost when installation and maintenance costs are properly considered. For most masts and utility poles one of the key considerations is the bend stiffness under prescribed loads. Design standards such as BS EN40 or AASHTO-LTS5 prescribe maximum deflections under load expressed as a fraction of the pole height. If you need more information then just follow this link. Cadfil Version 7.91 is released with new updates and features. Find it on the downloads page. Cadfil Version 7.88 is released with new updates and features. Find it on the downloads page. Cadfil Version 7.87 is released with new updates and features. Find it on the downloads page. If you need development of filament wound parts for prototype test or small series production parts we can help you, just follow the link. Best wishes to all those we met at the busy Feiplar show in Sap Paulo and thanks to Korthfiber for their hospitality. You can now also find news and a range of filament winding videos at the CadfilSoftware Youtube channel. Best Regards to all we met at JEC 2012, another busy and successful show. We look forward to meeting you again in 2013. The 2013 JEC show will be held from Tuesday 12 March to Thursday 14 March 2013 at Paris Expo Porte de Versailles, Paris, France. If you would like to arrange a meeting to discuss how we can help you, please contact us. 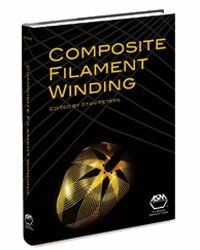 We have been pleased to contribute to COMPOSITE FILAMENT WINDING Edited by S.T. Peters and published by ASM International (ISBN-13: 978-1-61503-722-3). Because of our acknowledged expertise in advanced filament winding software we were invited to provide a chapter entitled "Programming Techniques, Computer-Aided Manufacturing, and Simulation Software". THIS IS THE FIRST CONTEMPORARY BOOK to treat filament winding with a focus on automation. The purpose of this book is to provide detailed procedures for automated filament winding for complex shapes, to chronicle the progress that has been made in robotic filament winding along with ancillary processes that support the deposition process. It is also to show what has and what can be done to advance the process and science of low-cost composite fabrication by filament winding. Cadfil Version 7.81 is released. Find it on the downloads page. Cadfil Version 7.70 is released. Find it on the downloads page. Cadfil Version 7.67 is released. Find it on the downloads page. Cadfil Version 7.65 is released. Find it on the downloads page. Cadfil Version 7.63 is released. Find it on the downloads page. Our best wishes to the many people we met at ICERP 2011 in Mumbai and we look forward to seeing you all again in 2013. Windows 7 Support added to the downloads page. 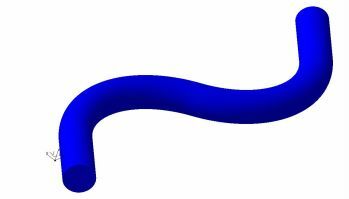 Design and process development of non axi-symmetric four-axis integral filament winding of double-‘D’-shaped, all-composite road tankers. these Fully Wrapped Non-Round road tankers. Road tankers are used all over the world for transportation of water, edible oil, milk, chemicals and petroleum products. Traditionally, road tankers have a steel or aluminium body, with or without rubber lining inside. Metallic tankers are heavier with 12 to 15% of the liquid they carry and the rubber lining requires frequent repair and relining every four years. Unlike pressure vessels, road tankers for transportation of liquids under gravity are made of double-‘D’-shaped cross-sectional profiles in order to keep the overall centre of gravity low for better stability and vehicle road holding. 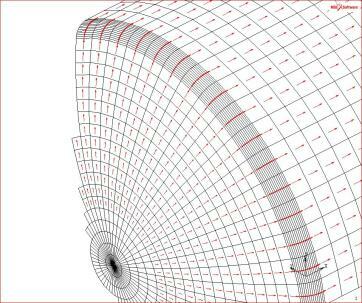 No winding process for such non axi-symmetric profiles with integral-end dome winding has been developed so far. 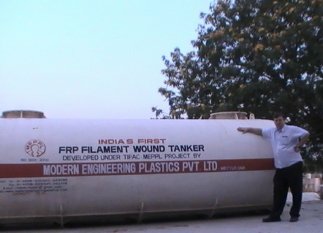 This innovation is intended for the filament winding of such tankers. These composite tankers are more resistant to water and many chemicals. Their high strength-to-weight ratio and stiffness-to-weight ratio make them lighter and long lasting. They offer 45% weight saving over a steel tanker. The joint-less winding of shell in an automated machine makes production faster and the product stronger. Two tankers can be made in a day vs. several days for steel. A factor of safety of six or above is guaranteed without any resin leakage. Cadfil featured in Reinforced Plastics Magazine (external website)- click to read about Cadfil in the top 10 composites stories of 2009.